Voyage to remote corners of the northern fjords that few other boats can access. 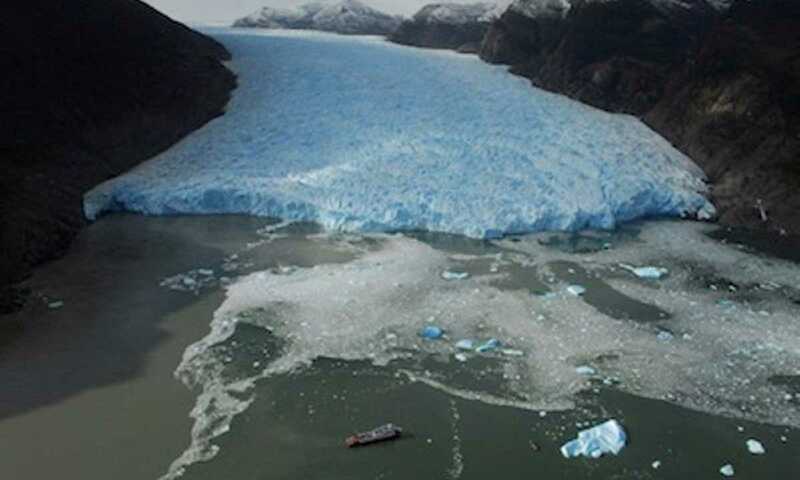 Visit the San Rafael glacier, where enormous depth and time have turned the ice an incredibly deep blue. Bathe in the open air in hot springs, in an area where blue whales are often spotted. Sailing through the archipelago of Llanquihue with views of Calbuco and the Ancud Gulf. 4.30pm - Arrival in Quemchi on the island of Chiloe. Disembark on small boats towards the picturesque village where you can visit a handicraft market, cafes, the museum of the Chilean author Francisco Coloane and stroll around the beautiful streets. 6.30pm - Continue sailing south along the archipelago of Chiloe, crossing the Gulf of Corcovado at midnight. Arrival at the fishing village of Puerto Aguirre. 11am - Disembarking in this village enclosed by the Chonos archipelago. We will walk through the streets, passing a typical Patagonian rainforest arriving at a lookout. 1.30pm - Navigation through the channels of Ferronave, Pilcomayo and Casma. 4pm - Arrival at Islote Barrientos, where we disembark to smaller boats approaching the rock formations to visit one of the largest bird colonies in Chile, counting kelp gulls, rock shags, red-legged shags and imperial shags. These birds are accompanied by South American fur seals. 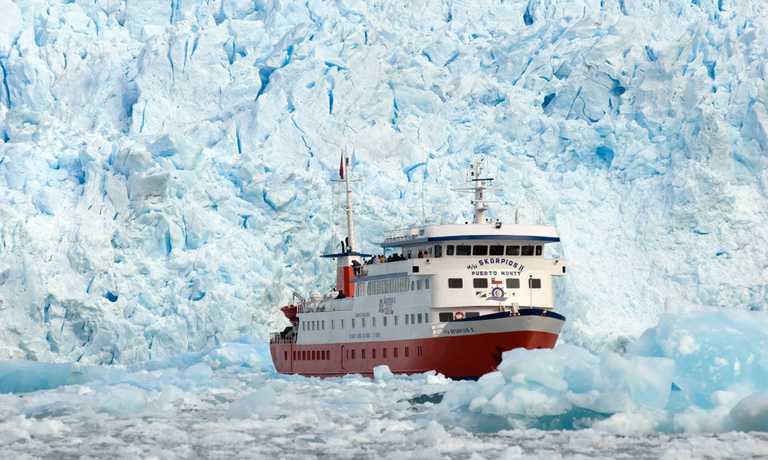 5pm - Heading south, we will arrive at approximately at 10:00pm, in Caleta Quesahuen or Punta Leopardos which is 20 nautical miles from the Glacier of San Rafael. 9am - The vessel anchors at 2 km from the glacier. Boat excursions among the multicoloured icebergs take place as weather conditions allow so. 4pm - Setting sails in direction of Quitralco Fjord. 8am - After breakfast passengers can enjoy hot springs with temperatures of 32C and 38C. If weather permits there will be boat excursions to the inside of the Fjord. 5pm - This evening we sail towards Chiloe, navigating through the channels of Moraleda and Perez Norte. If passengers are lucky they can observe humpbacks or blue whales in this zone. Continue sailing along the east coast of Chiloe, arriving at 11am at Islote Conejos, in the channel Queilen. Disembarking on small boats visiting the island inhabited by Magellan penguins and birds. 1pm - Then we continue sailing through the islands of Lemuy and Chelin. 4.30pm - When we arrive in Dalcahue, we highly recommend visiting the handicraft market, the church and strolling along the promenade. 11pm - Tonight we sail towards Puerto Montt. There will be a farewell party and captains dinner. 9am - Disembarking and transfers of passengers. Guided visits and excursions with smaller craft on to shore. Transfers between airport and ferry port available for USD $75 per passenger, round trip. Port taxes of USD $28 per passenger.